Whether you’re an author or an attorney; a banker or a blogger; a health care professional or design guru; a Fortune 500 corporate executive or a single-shop entrepreneur… YOU are the hero of your own unique story. That being said, that’s not all. It’s the telling of that story - clearly, concisely, compellingly — which defines your success. Hi. My name is Scot Simmons. I tell stories. I’m an author, content writer/editor and brand strategist (not to mention neophyte small press publisher) currently engaging, creating and thriving in Agoura Hills, CA. 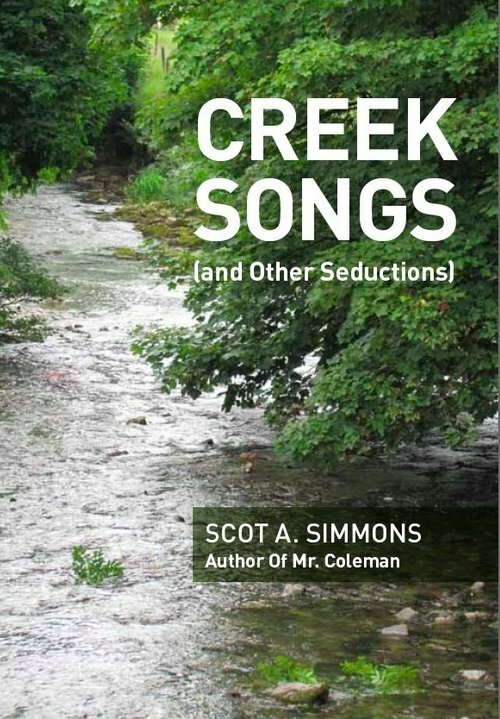 My debut novel, Mr. Coleman was published in Feb 2009; Creeksongs (and Other Seductions) followed in Sept 2012. The former is a novella chronicling the touching lifetime friendship between a man and a full-grown chimpanzee; the latter a collection of original short stories, poetry and remembrances. Both are available on Amazon.com. You’ll find some of my most recent fiction right here on this site. I have also written an e-book entitled The Five Foundations of Effective Promotion Writing – basic info for challenged entrepreneurs. As CEO of The Simmons Group, I’m a quick-fix word savant when it comes to creating bios, web pages, press releases, and any of the myriad species of promotional solutions targeted at telling my clients’ story clearly, concisely, compellingly. I regularly teach courses in writing, critical thinking and communication and I work one-on-one with authors and entrepreneurs as a developmental, line and copy editor. As a Creative Director-for-Hire, I join with renowned graphic artist, photographer, light painter and Instagram guru Anna McNaught to provide badass brand marketing and website solutions for a long list of entrepreneurs, business professionals and world-shakers. I am also the co-founder of ProConnectLA, a mastermind entrepreneurial support group based in Westlake Village, CA. We’re always looking for new contributors…click in! Gear up, browse around, pick your passion. Lots of dreams to dream, ideas to share, stories to tell. WRITER. DREAMER. COMMUNICATOR. TEACHER. POET. THINKER. EDITOR. EXPERT. READER. FATHER. ARTIST. LEADER. WORDSMITH. STRATEGIST. SCRIBBLER. CREEKER. COLLECTOR. CONNECTOR. EXPLORER. SON. SEEKER. SWIMMER. SPEAKER. LISTENER.